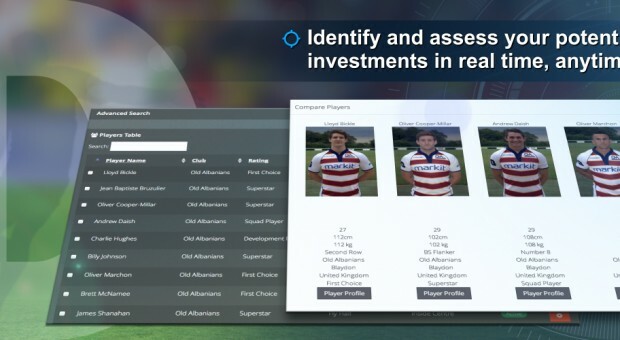 Scottish Rugby’s Scottish Qualified (SQ) Programme today announced a new partnership with performance-tracking database, Elite Talent ID (ETID). Ross Hamilton, Director of ETID, added: “We’re delighted to have the Scottish Qualified programme join up with ETID. He continued: “The SQ team were looking for a system to match their needs in a field where, until now, nothing existed, so we are very excited to show what ETID can do for the programme. For more information go to www.elitetalentid.com follow us @EliteTalentID or on LinkedIn. Elite Talent ID are proud to announce Gloucestershire CCC as their Ambassador Cricket Club. Gloucestershire Cricket will use cutting-edge technology to track the performances of their young players after joining forces with Elite Talent ID (ETID). 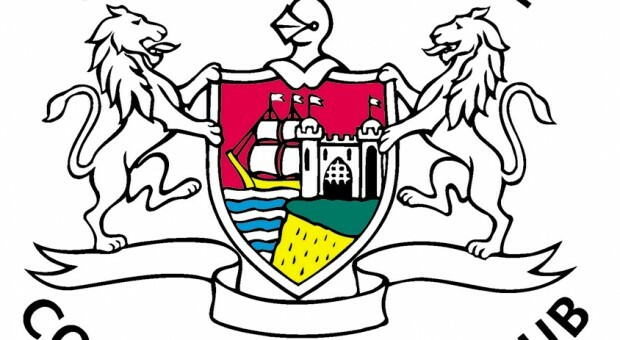 The club – who are based at the Brightside Ground, Bristol – will adopt ETID’s performance-tracking database, for use in its Academy programme and junior age group teams. The industry-first, customisable software allows Gloucestershire’s coaches to accurately track and record players’ performance through stats and video footage, to provide an unrivalled level of analysis. Gloucestershire’s scouting platform has been developed by ETID director Ross Hamilton, in collaboration with Gloucestershire’s assistant Academy and 2nd XI coach Steve Cashmore, to meet the Academy’s specific requirements. Gloucestershire Second XI coach and Academy Director Owen Dawkins said: “Linking with Elite Talent ID is an exciting opportunity to help us develop the next generation. Gloucestershire Cricket has a proven record of developing its young players, with around half of Gloucestershire’s current first team squad having come through its Academy. Royal London One-Day cup winners Craig Miles, Jack Taylor, David Payne and Chris Dent are just some of the players to graduate from the Academy in recent years. And Owen said the partnership with ETID would help the club strengthen its ability to identify, recruit and develop talented young cricketers for Gloucestershire and England. He added: “We are always aiming to increase learning and knowledge in cricket and I feel Elite Talent ID is going to help us take that next step forwards in helping Gloucestershire’s young cricketers. “We are delighted to announce this partnership with Gloucestershire. They have an outstanding Academy programme and we are very proud to offer a system that will continue to develop it into one of the best in the world. “Gloucestershire were looking for a system to match their needs in a field where until now nothing existed and so we are very excited that, as our new Cricket Ambassadors, they can show what ETID can do for their club. For more information follow us @EliteTalentID or visit our LinkedIn page. Saracens RFC become club ambassador for Elite Talent ID. Elite Talent ID are proud to announce Saracens RFC as their Ambassador Rugby Union Club. ETID are the creators of the industry-first, customisable, performance-tracking database, which has been adopted by Saracens for use in its Academy programme. The ETID software allows Saracens to accurately track every single player performance for unrivalled levels of analysis. The detail from the programme contributes to better decision making for talent identification, performance development, player tracking and contract assessment. Saracens are widely renowned within sport as leaders in adopting technological developments to advance their best practices and keep driving forwards in this regard. “Elite Talent ID is the perfect system to help us develop the tracking and long-term knowledge on our players. The structure of the programme along with ETID are really exciting projects that we plan will help us better manage the needs of the young athletes we work with. We will use ETID to enable our staff to monitor players across the different environments that we work in. With the nature of working with players from the Developing Player Programme and the distances between each centre to have a central database accessible online by all our coaches and then players as well is an invaluable asset for us. “It’s an amazing achievement to have such a successful club in Saracens as our ambassadors. We have had a long-standing relationship with the club and are delighted that we can help the Academy programme with their player identification and tracking. Saracens have wholly adopted ETID across departments including coaching, analysis, strength & conditioning and into the medical team as well. Elite Talent ID looks forward to working closely with Saracens, while continuing to expand its innovative system to shape similar first-rate sports programmes around the world. For more information go to www.elitetalentid.com follow us @EliteTalentID or visit our LinkedIn page.